Malaysia Most energetic Property company! We Help you to achieve over Rm10,000 monthly income! We help you to Build 2nd Source Income! We help you to learn Property selling Skill! We help you to travel around the World! Action speaks louder than words, press the button and contact 0126286228 for interview. See you. 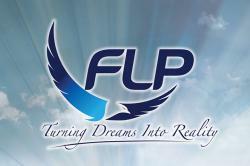 At FLP, we are passionate about delivering exceptional customer experiences. By offering a complete suite of property services, we ensure that we meet our customers' every need. With our experience, we have established many significant relationships with leading industry players, including owners, developers and management companies. We have experts in every field to guide you skillfully from beginning to the end of your investment journey.